The Lighthouse Lane Cottages are located in Rockport, Massachusetts, on Cape Ann. 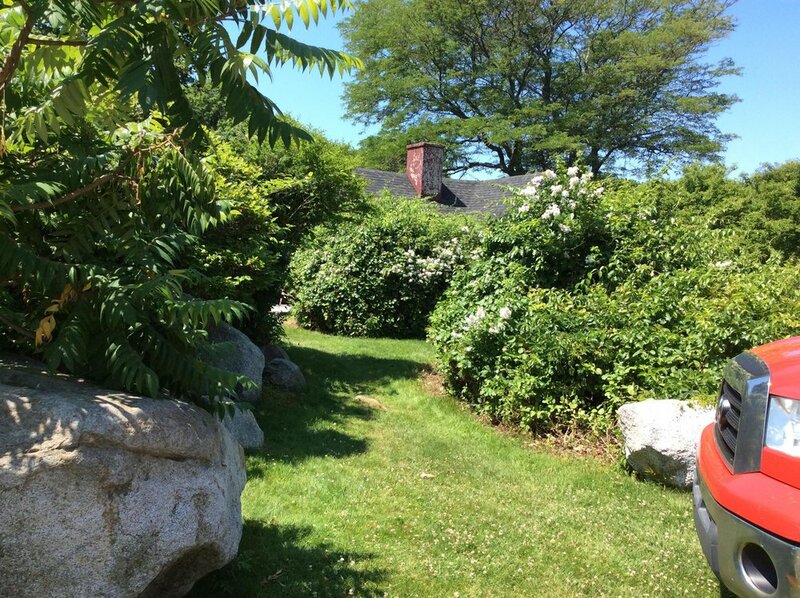 They are located at 5 Lighthouse Lane, which is a private way off of Marmion Way. Cape Ann is accessed from Rt 128 North to Gloucester. As you enter Gloucester, you will cross a bridge over the Annisquam River and approach a rotary. Take the second right on the rotary, travel about a ¼ mile and at a second rotary take second right again. Travel another ¼ mile and turn left at traffic lights onto Eastern Avenue. Stay on this road into Rockport and bear right on Broadway through Rockport Center. At the end of Broadway there is a lighthouse marker, take a right onto Mt Pleasant Street, up the hill about ¾ mile, until Marmion Way. Make a left turn onto Marmion Way. The cottages are ½ mile down Marmion Way. Turn right on Pioneer Circle, but take the left-most fork. This is Lighthouse Lane. On the right, marked with a small sign is Lighthouse Lane Cottages. It is directly behind the Seaward Rentals. (42 Marmion Way). Parking for Grapevine is on the grass right at the door and the sign. Parking for the other cottages is just beyond the cottages, on the right, in front of the pond.